Today is Veterans Day, which is a federal holiday to honor all United States military veterans. Many other nations observe this date as Armistice Day, commemorating the end of World War I, or Remembrance Day, remembering members of the military who have died in the line of duty. Americans remember those who died while serving in the military on Memorial Day, although many Americans confuse Memorial Day with Veterans Day. I’m sure that’s now as clear as mud for you. 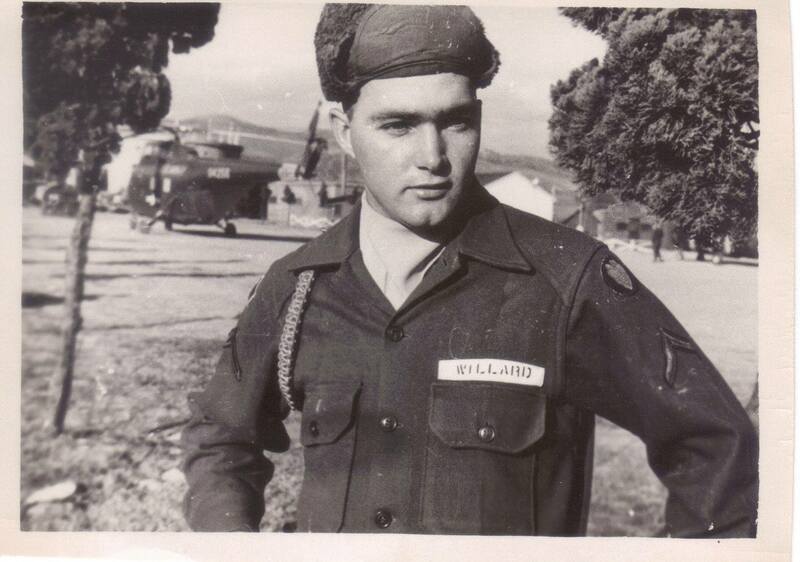 This is a photograph of my daddy, who served in the United States Army. He was stationed in South Korea in Pusan, which is now called Busan Metropolitan City, arriving there after hostilities in the Korean War had come to an end. Daddy died in 2008 at the age of 73, but this photograph always comes to mind on Veterans Day. On this anniversary of the armistice that brought to an end the fighting in “The War to End All Wars” in 1918 but obviously didn’t bring an end to war itself, visiting change ringers from England attempted a “full peal” at Palmer Memorial Episcopal Church in Houston. They were observing Remembrance Day, while I was observing Veterans Day. I was also hoping that all of us were praying for peace on the earth.